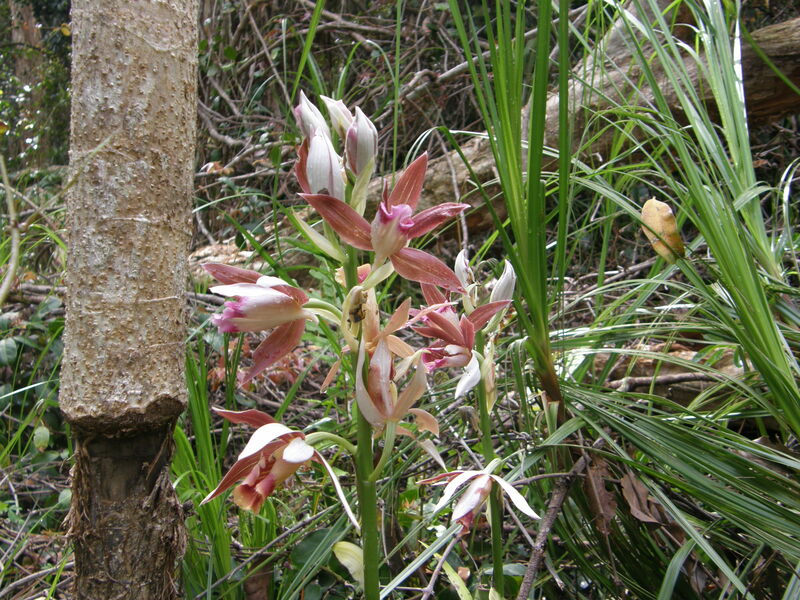 In the early 2000s, Dunghutti/Gumbainggirr Elder and one of the founding members of Booroongen Djugun College, Aunty Maggie Morris, advised the College board that there was a small colony of the nationally listed Endangered orchid, Phaius australis, also known as the Swamp Orchid or Swamp Lily, in the Kempsey Area on the mid north coast of NSW. Finding this orchid then became a key aim of the Natural Resources Unit of the College. In 2007, volunteer staff member, Phil March, then retraced the ‘steps’ of Aunty Maggie and found the orchid in her childhood area. NSW Department of Environment and Heritage (then DECCW) believe this newly located colony to be the southern limit of the Swamp Orchid, the next nearest colony being near Coffs Harbour approximately 100km north. There are currently about 14 known populations in NSW, most with very few plants. 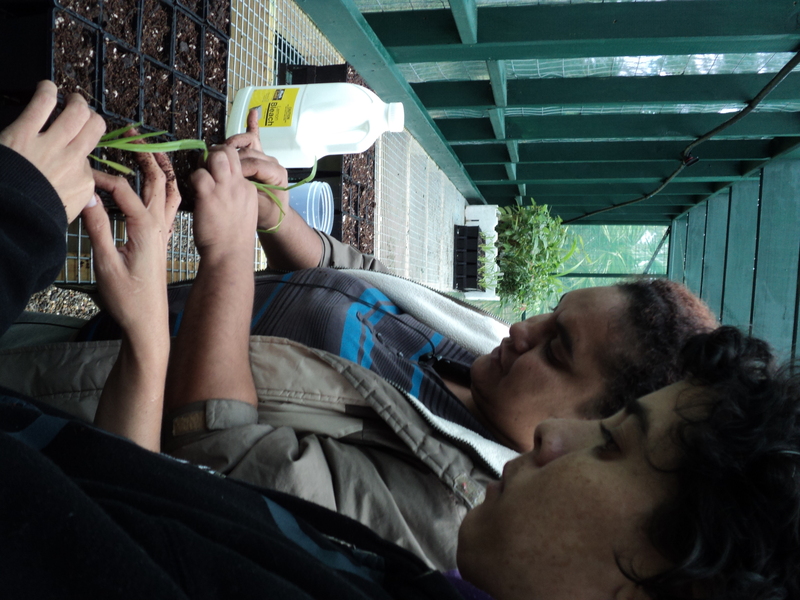 Because the colony is at risk, the College formed an Aboriginal Natural Resource Agreement with DECCW who provided a grant of $25,000, to allow BDC establish The Phaius australis recovery project and the Northern Rivers Catchment Management Authority. Through this project, two plants were removed under scientific licence to be kept at separate locations as an insurance measure in case of the loss of the natural plants. 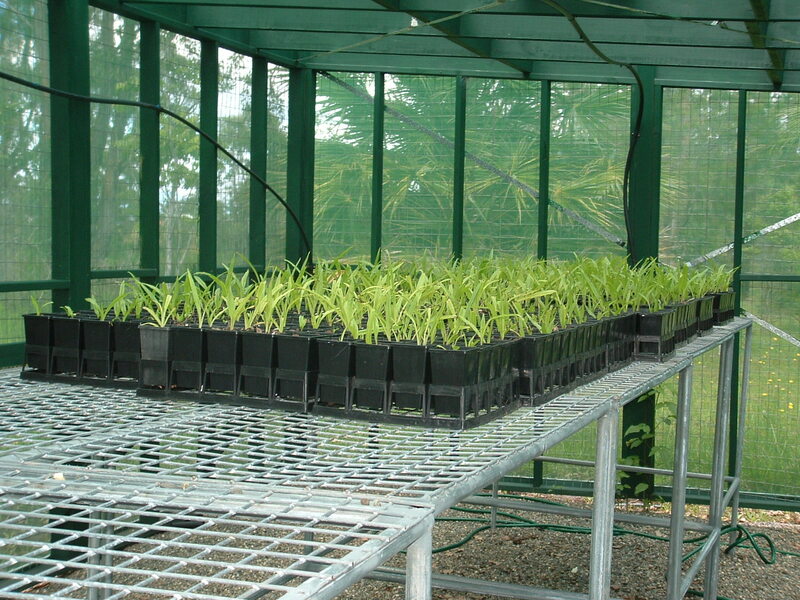 These have been successfully nurtured, and seed collected from them is being held in laboratory conditions for propagation. The population has been subjected to seed collection and minimal weed removal by a Dunghutti Indigenous weed management team selected by the local Aboriginal community, who received accredited training in Conservation and Land Management through the College. This has substantially improved the health and flowering of the remaining population of Swamp Orchids over the last three flowering seasons. Cultural Heritage Officers from the Northern Country Culture Heritage Division of DEH trained the team in cultural site surveying, and emphasis has been placed on renewing cultural connection to Phaius in ways that consistently involve the Traditional knowledge holders and Elders for their ecological expertise and advice. • development and implement a Translocation and Management Plan to identify suitable habitat where there is a likelihood of successful reintroduction (Identification of suitable sites is in development). • provide further training opportunities for Aboriginal communities in Conservation and Land Management, incorporating the management actions for on ground works on ‘country’. Through the collaborative efforts of our partners and the Dunghutti and Gumbaynggir Elders, this work intends to acknowledge the Aboriginal contribution and importance of saving a very important part of our cultural heritage. This entry was posted in Indigenous land & sea management, New South Wales, Threatened species & communities. Bookmark the permalink.